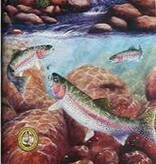 The fishing map and guide for the Fryingpan and Roaring Fork River is a pocket-size, foldout map for these two famous Colorado rivers. The map gives detailed public access points, hatch charts, recommended flies, boat launch and take-outs, information on the area, local shops, and much more. 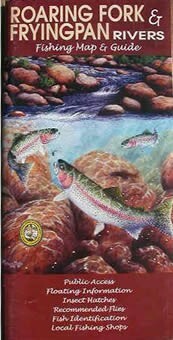 It is a crucial map for any fishermen hitting these two awesome rivers.